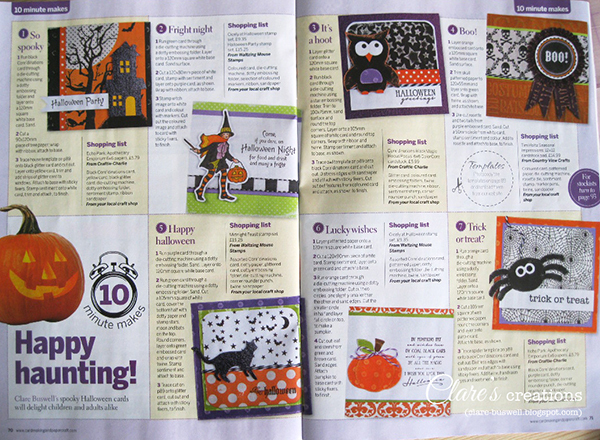 I've some fun and spooky cards in the October issue (122) of Cardmaking and Papercraft magazine (UK) in the 10 minute makes section. Here are just a few of them! 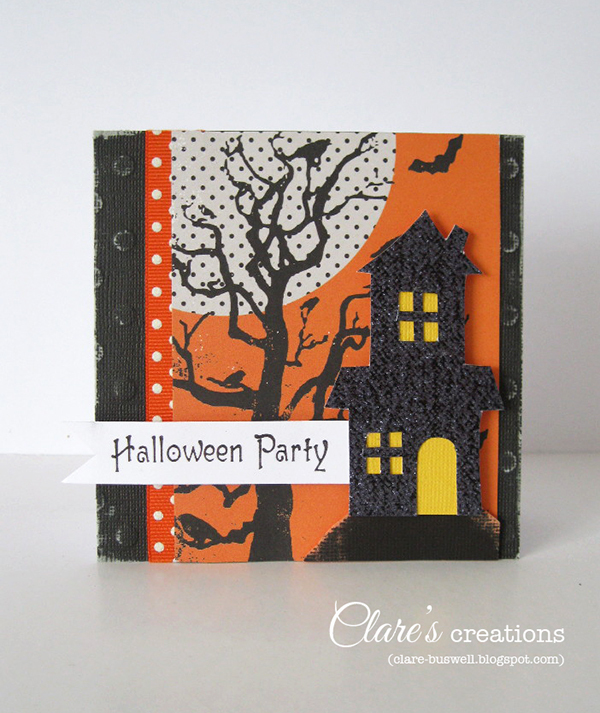 I used lots of Core'dinations ColorCore Cardstock, Echo Park Apothecary Emporium papers and I drew some templates (which are included in the back of the magazine and on the magazine's website) for some of the cards (haunted house, cat, spider and owl). The haunted house template I traced onto some Glitter Silk from Core'dinations and fussy cut, I added some yellow cardstock behind the house to give the illuminated impression! The cat template I traced onto some Glitter Silk from Core'dinations and fussy cut. 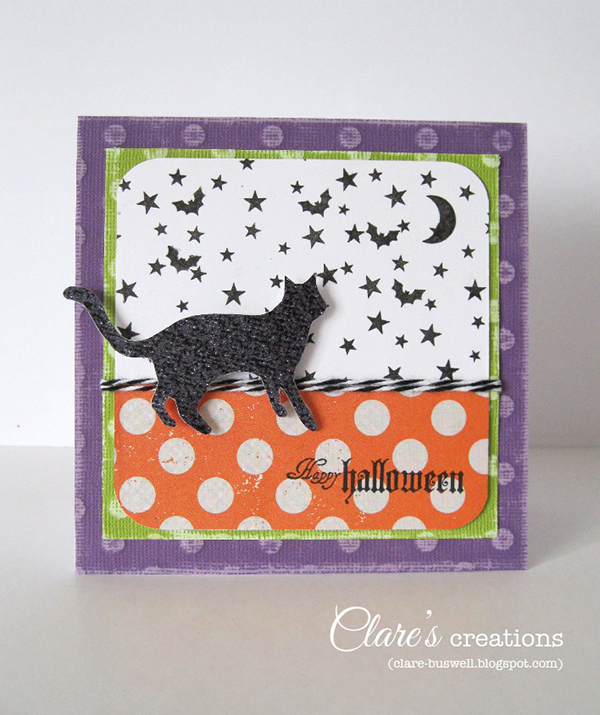 The purple cardstock is from the Spotted Tillie Dot Collection from Core'dinations. 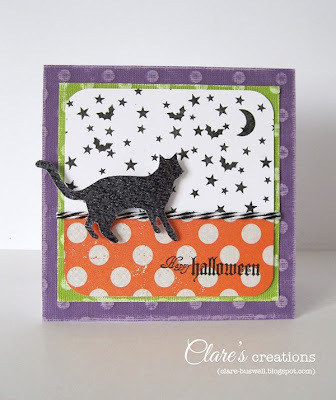 I also used some stamps from WMS to stamp the background and sentiment. 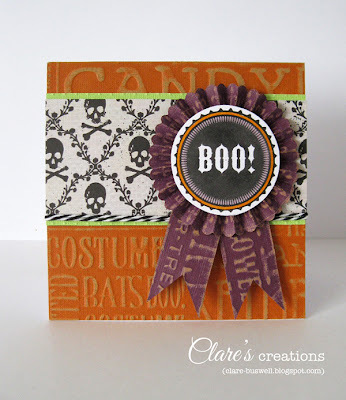 I used some of the awesome Tim Holtz Kraft-Core Seasonal Impressions cardstock from Core'dinations on the background and for the die-cut rosette (Sizzix), all I did was lightly sand the surface with my Sand-It Gadget. Here are all the cards in the layout in the magazine. 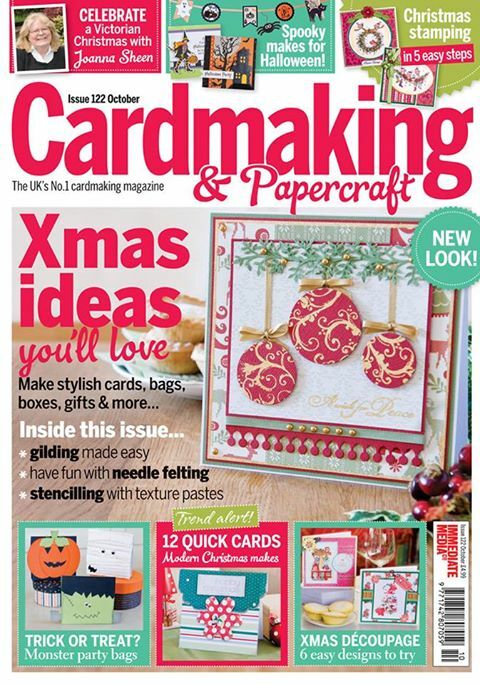 A couple of my cards made it to the cover too (just at the top!). 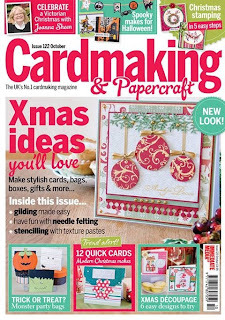 This issue (122) of Cardmaking and Papercraft magazine is packed full of inspiration, so pick up a copy today! 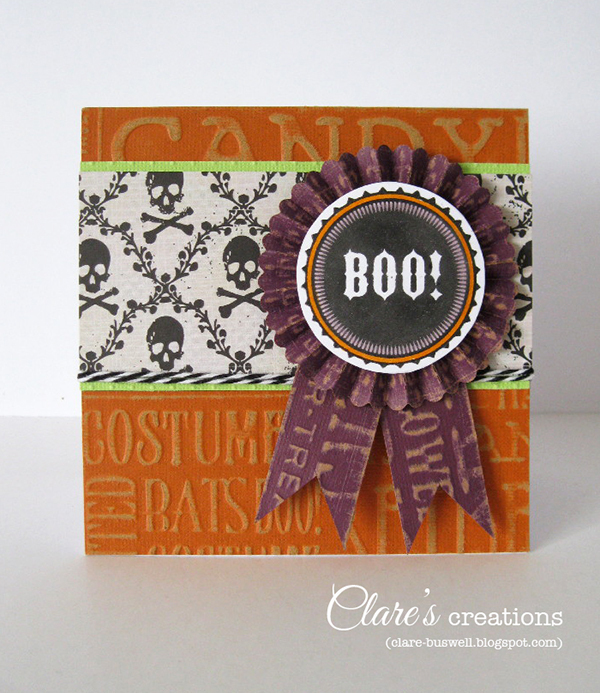 Labels: Cardmaking and Papercraft Magazine, Core'dinations ColorCore Cardstock, Halloween, The Craft's Meow..